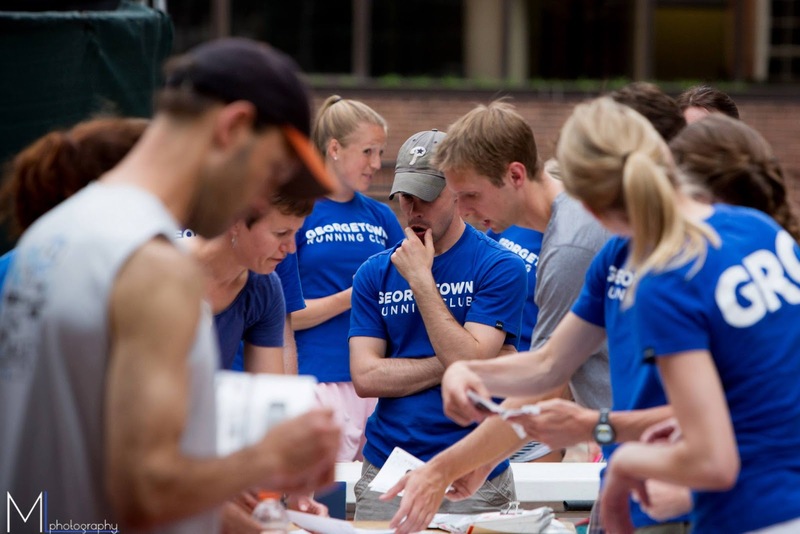 Earlier today, in a somber ceremony witnessed by one, or perhaps as many as two people lurking on the interwebs, Sam Luff’s name was officially moved to the “Ex Pat” list on Georgetown Running Club’s website. Tonight, after spending nearly six and a half years on GRC’s roster, Luff, and his overloaded Toyota Matrix, will head west and begin the long journey to San Francisco. While donning the GRC singlet, Luff recorded personal bests of 14:15, 29:37, 50:45 and 1:07:08, marks which any working runner would be proud to hang his hat on. At the time, his 10k performance was a club record and, more often than not, Luff was the team’s top finisher on the track, road and course. “For sure, Sam was our standard bearer as an athlete for at least two years,” underscored Alexander. In 2014, after an uncontentious election, Luff became President of the GRC, and served in that role for three years. During his tenure, Luff helped ink a sponsorship deal with New Balance and local running giant PACERS. Following a series of on-and-off again injuries, and subsequent recoveries, Luff made his 26.2-mile debut at Grandma’s Marathon last June, running an impressive 2:28:03 in less-then-ideal racing conditions – arguably his best race in two years. It’s unclear whether he’s run a step since then, but that doesn’t really matter. “I'm sure going to miss him,” noted Alexander. Of course, he’ll always have a (running) home if he ever returns to the Washington, D.C. area. We salute you Luff Diddy! Nice person, fantastic runner. All the best in SF! Huzzah! So long Sam! Best wish in SF.